The African American Theatre Arts Troupe (AATAT) is a student-based organization that came together under the leadership and direction of Donald Williams in 1991. AATAT was formed as a vehicle to create unity, higher visibility, and understanding of the African American culture here at the University of California, Santa Cruz and the greater Santa Cruz community. 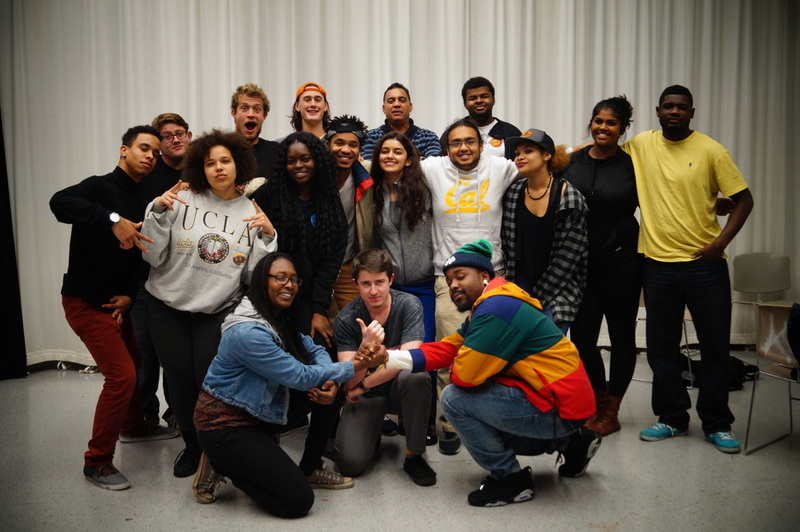 AATAT not only casts UCSC students from different educational backgrounds, but also casts students that have little or no experience with acting, technical, and administrative work. This allows anyone the opportunity to get involved with the program. The troupe is the only one of its kind in the UC System. In addition to validating and affirming the cultural experiences of African Americans on campus, AATAT's goal is to raise funds for the awarding of the annual scholarships. The troupe delights in awarding at least five thousand dollars in scholarships to individuals participating in the program exhibiting exemplary academic performance. Since 1993, AATAT has raised over $100,000 in annual scholarship funding. Langston Hughes’ 1951 poem first asked "What happens to a dream deferred? / Does it dry up / like a raisin in the sun?" Eight years later, Lorraine Hansberry’s A Raisin in the Sun charts three generations of the Youngers, an African-American family trying to find their footing in the racially segregated Chicago South Side and greater world. This American story is as potent sixty years later as when it debuted on Broadway in 1959. ​Winner of the New York Drama Critics Circle Award for Best Play, A Raisin in the Sun starred the Broadway cast in a 1961 film. The 1973 musical version Raisin won the Tony Award for Best Musical. There has been a 2004 and a 2014 Broadway revival. 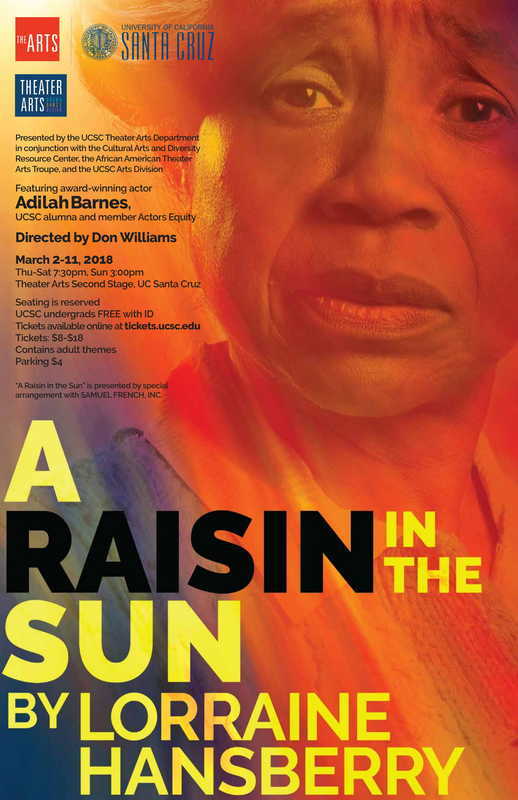 This staging of A Raisin in the Sun is directed by Lecturer Don Williams and stars Adilah Barnes, UCSC alumna and member of Actors Equity, and undergraduate students Anada Brooks, Antonio Brunette, Abeka Essel, Achedzi Essel, Joy Knighton, Jazmine Logan, Erika Mellier, Jokaelle Porter, Jerome W. Reed III, Abiel Russom, Keith Samujh, and Joaquin Rosman Shellenberger.